Over the years, an increasing number of us have become more environmentally aware and as a result more people are now keen to do their bit for the green cause. There are many ways in which you can achieve this goal and even small steps and changes can make a big difference when it comes to protecting the environment. The great thing about going green is that in many cases it not only helps the environment but can also save you money. There are various changes you can make to your Sussex home in order to make it more eco-friendly as well as to help reduce costs. Some of these are small, simple steps whereas others are more involved. However, collectively they can make a big difference to both your pocket and to the planet. 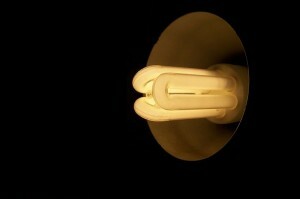 One simple yet effective way of greening your home is changing over to energy saving light bulbs. Over recent years, more and more people have started to use these, they use up far less energy than the traditional light bulb. This will naturally have a positive impact on the environment and is also a great way to reduce your energy bills so you can save money on the cost of usage. The heating you use in your home will also have an impact on both the effects on the environment and on the amount you pay by way of energy bills. You can opt for an environmentally friendly heating option such as the electrical heating systems available from VeriSmart. These provide you with an excellent and cost effective way of heating your home and will also enable you to do your bit for the environment. VeriSmart offers a range of information to help you to purchase a suitable heating system for your home, including a buying guide, information on savings that can be made, a comparison of different heating options and advice on installation. Another important consideration is having double glazing installed at your home. While this does involve an initial investment, it is something that will add value to your home so you can recoup some or all of the cost in terms of equity. You will also be able to enjoy saving on energy bills without compromising on comfort levels within the home as well as further aiding the environment. www.sussexgreenliving.co.uk. Forward your suggestions for events, videos, parks and green spaces etc to be added to “your” site.